At Modern Castle we believe that personally testing a product is the best way to really know if it’s good! To date, we have tested 21 of the most popular robot vacuums from brands from all over the world. Which is best for you? Find out below with our ultimate robot vacuum reviews guide. Robot vacuums are popular for their autonomy, ability to schedule cleanings, and the artificial intelligence to get out of tough situations navigate obstacles. A good robot vacuum is one that can clean your home, without required intervention or “babysitting”. Here at Modern Castle we’re putting top-rated robot vacuums to the test to see how they compare against each other (as well as how they compare against more traditional vacuum styles). Check out our complete list of robot vacuum reviews for each robot we’ve tested below. Here at Modern Castle, we believe in producing the most in-depth robot reviews possible. To help better understand each robot we complete detailed testing to analyze the robot vacuum’s performance and other characteristics. For a more detailed explanation of our testing procedures and scoring criteria please click here to jump down the page. Who is the best robot vacuum for 2019? In addition to these factors, there are also other parts of the robot that can influence its overall performance in your home. Things like design, size, noise, and included accessories may also influence your overall choice. Does it have wifi? Do you need wifi? Is there a physical remote? How big is the bust bin? What kind of brushroll does it use? Is there a brushroll at all? What is the cost of replacement parts? Are they hard to find or expensive? These are the primary factors we considered when determining the best robot vacuum 2018. So without further ado, let’s see who made the list! ROOMBA 980 | For the best overall performance, we’ve got to give it to the Roomba 980. It maintained a capture rate of 96% across all floor types and had the best bells-and-whistles. The onboard camera, 2-hour runtime, recharge and resume, and iAdapt 2.0 means better performance and less “babysitting” for you as it navigates tricky or large spaces. Digital map reports will show you where it has been and any places that it has missed during any cleaning cycle. Start, pause or schedule a cleaning directly from your smartphone (when paired with wifi) or use Amazon Alexa and the voice control feature. If you’re looking for the best, and have the budget to get there, the Roomba 980 is literally in a class of its own. ROOMBA 690 | If you want the Roomba name, but don’t want to break the bank with the 980 or 960, the Roomba 690 is an amazing compromise. It’s usually within the $-$$ pricing tier, making it one of the best value robots we’ve tested to date. The Roomba 690’s cleaning performance was only a few points off of the 980, removing 93% of all debris during our cleaning tests. It uses a simpler style of navigation and a more basic filter system, however, we found these factors to be of little consequence when it came to sheer cleaning performance. The 690 just gets the job done…maybe a little slower and more randomly, but for the price point it’s an incredible value. Aside from performance, the Roomba 690 has the dual rubberized brushrolls for cleaning pet hair, as well as wifi-connectivity for scheduled cleanings or cleanings accesses from your smartphone. Ecovacs Deebot N79 | The N79 comes in well inside of the $ pricing area. At that price point, this robot vacuum offers a lot. Average cleaning performance across all of our tests came in at a solid 90.1%. As with most robots, the Deebots biggest struggle was removing sugar from carpets. The Ecovacs Deebot N79 is equipped with wifi connectivity, remote control, smartphone control, and a sizable 100-minute runtime. It certainly misses some of the extra features that I would like to see, but at this price point, I cannot fault the N79. It packs as much as it could and offers solid performance. That’s as much as you can reasonably ask. Cleaning pet hair can be a difficult task for a full-size vacuum, stick vacuum, or even handheld, but is it possible for a robot vacuum to address the mess, without you having to lift even one finger? I would say the answer is yes. When cleaning pet hair with a robot vacuum, there are certainly a couple features that make superior robot vacuum stand out from the rest of the pack. Follow along and we break down what makes the best robot vacuums for pet hair and then highlight our favorites. So what makes the best robot vacuum for pet hair? In our opinion, it breaks down like this. Other factors, including usability, wifi connectivity, larger dustbin, and smartphone / smart home integration, among others, are great as well and definitely worthy of consideration. However, the most important attributes are the robots ability to effectively remove pet hair. Another pro tip?Buy rubber gloves. Just as a rubberized brushroll really helps to grip the dirt as it spins, rubber gloves are excellent for cleaning pet hair. So considering the factors that make a good robot vacuum for pet hair, which models are top rated in our book? We’ve seen the Roomba 980 vacuum in the top two “best categories” as well, but we’ve got to include it under the best robot vacuums for pet hair as well. The dual rubberized brushroll is excellent against pet hair since the dual action grabs the hair, while also helping to prevent tangles. Older Roomba models, like the Roomba 650 use the bristle style brushroll which can be prone to tangling pet hair. In addition, the Roomba 980 performed well during our carpet cleaning tests, capturing 97.25% of debris on the low carpet tests and 86.75% of debris from the high carpet test. I think it’s important to also note here that the 980 collected 100% of debris during the rice, cereal, and kitty litter tests on high pile carpet. The main struggle was the sugar test, where it only collected 53% of debris, which significantly dropped the average for all high pile carpet cleaning tests. But in the case of cleaning pet hair, when considering pet hair specifically, I think the sugar particles could be an unlikely representation of the weight, density or size of pet debris in your carpet. For more, see our complete Roomba 980 review here. While we’re talking about the Roomba 980, I’d also like to add an accolade for the Roomba 960. The Roomba 960 model shares many of the same features of the Roomba 980, except for the Power Boost on carpeted floors and a slightly shorter run time. (75 minutes vs. the 120 minute run time on the Roomba 980). If you’ve got a lot of carpet, the Power Boost can be a real bonus for cleaning pet hair, but homes with pets and hardwoods may likely never really use the Power Boost mode. For more, see our complete Roomba 960 review here. The Roomba 890 is in the series below the Roomba 980 and 960, but has a lot of really nice features for addressing pet hair. The 890 is sort of the best of both worlds—still great cleaning performance, but at a lower price. The Roomba 890 has a dual rubberized brushroll, and good performance on carpet (87.5% on both low and high pile carpet). As with most other Roomba, the cereal, rice, and kitty litter tests went well (100% for all six of those tests, actually) while the performance for the sugar cleaning test weighed down the average (only cleaning up about half of the sugar). one virtual wall, for blocking off sensitive areas or breaking apart larger cleaning jobs into manageable zones. For more, see our complete Roomba 890 review here. A couple things that both of these Roomba models have in common is the advanced navigation, advanced virtual wall barrier, and an extended run time. NAVIGATION | The navigation of the Roomba 980 and Roomba 960 is pretty sophisticated compared to older models. Using iAdapt 2.0, the 900 Series Roombas navigate using the on-board camera and additional sensors. This limits the amount of bumping that is required in order to effectively navigate through a space. The Roomba 890 isn’t quite as advanced as the 900 series, however, it still gets the job done. VIRTUAL WALLS | Another pet-friendly feature to note is the virtual wall. Both of these models come with the advanced virtual wall that has dual-modes. What do the two modes do? This secondary model is called “Halo Mode”. “Hale Mode” is a useful feature for pet owners who are looking to protect sensitive areas like pet feeding areas or water bowls. RUNTIME | The extended runtime is the last really huge feature that Roombas offers to entice pet owners. The Roomba 980 can run for up to 120 minutes, Roomba 960 for 75 minutes, and Roomba 890 for 60 minutes. Additionally, the 900 series Roombas are also equipped with a feature called “Recharge & Resume”. This feature allows the vacuum to charge up in the middle of a cycle if the battery gets low. Then, when it juices up, it can automatically return to the spot that left off. If you have a larger home or simply a home that receives higher levels of traffic, this extended rum time can be a real asset in reaching the cleaning goals for your home. If you’re looking for a robot vacuum outside of the Roomba lineage, you may want to check out the bObsweep Pet hair robot vacuum. This model is popular among pet owners for its extra large dust bin capacity as well as the UV light which helps to sanitize the area while it’s cleaning. For even bigger messes, the bObsweep Pet Hair robot vacuum comes with an optional mopping pad. This is basically a microfiber pad that you can get damp and bObsweep will drag behind itself while it cleans (hard surfaces only). This won’t replace your need to periodically mop, but it can help to maintain cleaner hard surface floors. See our best robot mops and best mops for more info. The bObsweep robot vacuum does not have wifi connectivity, but it does have a remote control and allows for scheduled cleanings. There is also an onboard LED screen with a huge number of buttons, settings, and information to display, but I’ve got to admit, it’s a little confusing to understand the full interface of this vacuum. The cleaning results on carpet were not the worst we’ve seen, but they were notably worse than the results of all Roomba models listed above. On low pile carpet, the bObsweep captured 89% of debris and on high pile carpet it captured 83.25%. Looking at cleaning performance alone, the performance here would likely not be enough to make it onto the list of “Best Robot Vacuums for Pet Hair” list, but considering all of bObsweep’s other pet-friendly features, including the UV light, large dust bin, and mopping attachment, we do think it’s worthy of considering (especially if you have mostly hard surfaces in your home). For more, see our complete bOBsweep Pet Hair review here. Cleaning hardwoods are one area where many different robot vacuums excel. The low-friction surface allows a robot vacuum to glide around, identifying messes and navigating obstacles. Even robot vacuums without a huge amount of suction can score well on hardwood cleaning tests. The results below identify some of the best robot vacuums for hardwoods. The hardwood cleaning tests are run much like the carpet cleaning tests. We run the same debris types that we can on our carpet tests, but this time they are run on engineered hardwood floors. When judging cleaning performance, we look heavily at the results of the tests above, but those aren’t the only factors that influence the overall performance of a robot vacuum on hardwoods. In addition to the overall cleaning performance, we also look at other factors like design, features, usability, noise, battery, maintenance, value, and the general specifications of each product. There are many robot vacuums that excel at cleaning hardwood or other hard surfaces. Simply put, without the added density of carpet or area rugs, robot vacuums generally smoothly float around hardwoods, doing an excellent job of capturing debris. 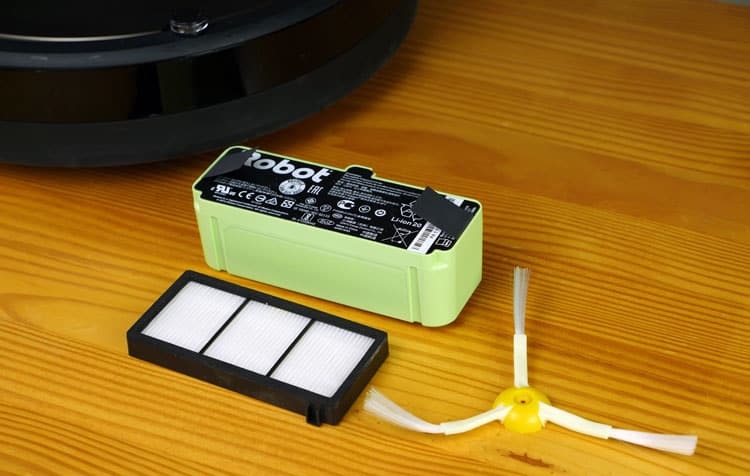 RELATED – How does the Roomba compare to Deebot? Most robot vacuums we’ve tested have scored a 93%+ on hardwood floors. In fact, a large percentage of robots we have tested have scored a 97% or higher. Because of this, it feels a little unfair to limit the field to only three top models since there are many that are neck-and-neck. Depending on other factors you may be looking for in a robot vacuum, you could choose from a wide range of top-performing robot vacuums for hardwoods, in order to select the perfect model for your home. The iRobot Roomba robot vacuum currently has two models in its 900 Series—the 980 and the 960 model. Both of these vacuums were flawless at cleaning hardwood floors during our Roomba cleaning tests. The Roomba 980 swept the field in hardwood cleaning performance, capturing 100% of debris in every cleaning test (cereal, rice, kitty litter, and sugar). It was relatively quick, methodical, and supremely effective in cleaning the debris from the hardwood floors. As mentioned above, the Roomba 980 has an onboard camera for advanced navigation, wifi-connectivity, compatibility with voice-control units like Amazon Alexa’s Echo or Echo Plus. By comparison, the Roomba 960 has a lot of the same features as the Roomba 980. It’s a part of the same series, the 900 Series, and lacks only the Power Boost option when vacuuming dense carpeted floors. But for cleaning hardwoods, this isn’t much of a deal breaker. How did the 960 perform? During our cleaning performance tests, the Roomba 960 also performed exceptional, scoring 100% across the board in terms of debris captured, and against all four debris types tested. For more see our Roomba 960 review here or see our Roomba 960 vs. 960 comparison here. In addition to the 900 Series models, Roomba has a few other models that are still exceptional at cleaning hardwoods. These robots include the Roomba 890 and the Roomba 690. During our cleaning test, the Roomba 890 collected 98% of all debris and the 69 was only half a percent behind at 97.5% performance. These margins are incredibly close and honestly could yield slightly different results if we were to run the tests again with even slightly different conditions. Due to the marginally small difference, I would say that any of these four Roomba models (Roomba 980, Roomba 960, Roomba 890, or the Roomba 690) all represent some of the best cleaning performance from a robot vacuum and it would be hard to be disappointed with any of them when cleaning hardwoods. The EcoVacs DEEBOT N79 is another robot vacuum that was a suction machine on the hardwood floors. Besides the exceptional performance, the N79 is priced much lower than the 900 Series Roombas. Despite the lower ticket price, the EcoVacs DEEBOT N79 scored an average of 99% across all debris types during our testing. RELATED – Full Ecovacs Deebot vs. Roomba model-by-model comparision here. The DEEBOT N79 is wifi-enabled and also include a physical remote control for easy usability. Like most high-end robot vacuums, you can schedule cleanings ahead of time or run one on the fly with the push of a button. But how does it clean? To capture debris, the N79 uses a single V-shaped brushroll that uses a combination of bristles and rubberized paddles that agitate and capture the debris, without allowing for excessive tangles. On carpet, the EcoVacs DEEBOT N79 was similar in performance to the Roomba 980 or 960 model—good for cereal, rice, and kitty litter, and struggling with the white granulated sugar. With a full charge, the N79 can run for up to 100 minutes. The N79 compares nicely to the Roomba (see here for more Roomba alternatives). For more, see our EcoVacs DEEBOT N79 review here. The Roborock Xiaowa Lite C10 robot vacuum, also known as the Roborock C10, is certainly less common in the marketplace compared to Roomba, but its performance on hardwoods is simply too good to ignore. During our cleaning test on hardwoods, the Xiaowa captured 100% of debris during the rice, cereal, and sugar test. The kitty litter test captured 99% of debris, putting the Xiaowa at one of the top cleaning performances of all robot vacuums on hardwood floors. The Xiaowa is usually priced in the $ tier, making it a great value for many cleaning jobs. The Xiaowa uses a central combo brushroll made of bristles and composite paddles. It is wifi-enabled and can be controlled with a smartphone or tablet when paired with the Xiaowa app. You can use the app to start, pause, or schedule a cleaning. One of the biggest drawbacks of the Xiaowa Lite is the maintenance. Currently, the parts are not readily available so it’s a bit unknown as far as how much the parts could cost or even how often they need to be replaced. Once those parts are available I think this becomes a no-brainer for many consumers. For more, see our Roborock Xiaowa Lite review here. Because so many robot vacuums performed so well on our hardwood floor tests (10 scoring 97%+) we felt it was a little unfair to limit this section to a hard top 3. The robot vacuums below all scored well on our hardwood tests and for the right consumer, they are definitely worthy of consideration. ILIFE A7 | The iLife A7 robot vacuum is iLife’s newest robot vacuum, complete with wifi connectivity, app control, and even a physical remote control. It is also surprisingly affordable, landing in the $ pricing tier. Now for hardwoods, this is a fantastic value since the A7 captured 97% of debris when cleaning hardwoods during our test. The biggest pitfall across hardwoods is large debris, like cereal, where it only captured 90% and left a few pieces scattered around the floor. Hardwoods aside, the A7’s performance on the carpet was slightly less impressive, only capturing 70% on both high and low pile carpet. While cleaning up the sugar debris, it only captured 21% of the mess on low pile carpet and even less (18%) on high pile carpet. BOBSWEEP PET HAIR | The bObsweep Pet Hair robot vacuum is another strong contender for cleaning hardwoods, where it cleaned an average of 98.5% of debris for all of the hardwood performance tests. The bObsweep has an XL dust bin, making it a good option for high traffic homes and a reasonably long run time, 55-90 minutes depending on floor type. Generally, robot vacuums will run longer on hardwood floors than they will when cleaning carpeted floors. The bObsweep robot vacuum does not have wifi so it can’t be controlled with your smartphone, but it does have a large LED screen for onboard features or an included remote control for additional settings or for scheduling cleanings in the future. EUFY ROBOVAC 11 | The Eufy RoboVac 11 is another one of the best robot vacuums for tackling hardwood floors. On our cleaning tests, it scored an average of 97.25% across all cleaning types. While the Eufy RoboVac isn’t the fastest cleaner from the bunch and it doesn’t automatically return to the charging base, it is effective and relatively inexpensive. SAMSUNG POWERBOT | The Samsung POWERbot did a pretty great job cleaning hardwood floors, capturing 96% of all debris during our cleaning tests (on average). One unique feature of the Samsung POWERbot is the Edge Cleaner, which involves a rubberized shutter that drops down at the edges and helps to drag dirt and debris away from corners, edges, and other tight spots. The POWERbot has a 60 minute run time and pretty basic features, like no wifi connectivity or remote control, but also boasts a lower than usual price tag. Of all the robot vacuums we reviewed, not all of them are created equal. For instance, some are great at cleaning hardwoods while others excel at carpeted floors. This list below features what we think are the best robot vacuums for carpet (both low and high pile carpets). To decide exactly which models are the best we look at a variety of factors. We consider overarching factors, like design, features, and usability as well as “under the hood” factors like noise, battery, and maintenance costs. The biggest factor we are looking at is raw cleaning performance on our carpet cleaning tests. All of our robot vacuums are put through a series of 12 cleaning test, which includes four different testing debris types on three different floor types (hardwoods, low pile carpet, and high pile carpet). For the best robot vacuum for carpet, we’re mainly going to focus on the performance on high and low pile carpet, but if you have a mix of floor types in your home, you may want to consider the performance across all cleaning tests. The Roomba 980 is simply a powerhouse against dirt, dust, and debris on carpets. Across the board, it tackled the debris with ease, with the one exception being ultra-fine debris (as represented by our sugar test, which pretty much all robots have a hard time with). The Roomba 980 is the best performing robot vacuum for carpets based on all of our tests so far. It scored an impressive 92% on the high and low pile carpet cleaning tests. In addition to its stellar performance on carpet, the 980 is also excellent at hardwoods, where it removed 100% of the debris during our hardwood floor cleaning tests. The Roomba 980 is arguably the most high-end robot vacuum on the market. For more see our Roomba 980 review here. The Roomba 690 continues to be one one of the best all-around robot vacuums we’ve tested to date. It is arguably the best value robot we’ve tested and also has earned its spot as one of the best robot vacuums for carpet cleaning as well. The Roomba 690 scored a solid 91.6% on our 8 carpet vacuuming tests. Just like the Roomba 980, its only real struggle was sugar, but even there it performed far better than the average we see from other robots. The 690 does have a less complicated AI that drives its cleaning decisions. We think this might actually be helping the 690’s performance (in some areas), as it seems to make cleaning passes more regularly and continually (as opposed to making just a pass or two and then being done). The Roomba 690 performed well on hardwood floors also, where it scored a 97.5%. In addition to its stellar performance on carpets, the 690 comes equipped with solid features. Roomba’s stock battery isn’t bad, lasting for around an hour on most of their robots (my first battery lasted about 3 years). However, many 3rd party retailers build Roomba compatible batteries that can be significantly larger than the stock battery. These larger batteries can extend run time 2-3x the normal 60 minute run time, a welcome upgrade for surprisingly cheap. For more see our Roomba 690 review here. Last, but not least, we have the Roomba 890. The 890 sits in the middle of the Roomba 980 and Roomba 690 in terms of both price and features. The Roomba 890 was just a little bit below the 690, removing 89.4% of debris during our carpet cleaning tests. Just as with the 980, 690, and basically all robot vacuums, its biggest struggle was removing sugar from carpets. Hardwood floor cleaning tests were no match for the 890, which removed 98% of all debris. For more see our Roomba 890 review here. Sometimes, the most difficult part of choosing the best robot vacuum for you is understanding the intricate differences and details between similar models. To help make the choice easier, we’ve completed a litany of robot vacuum comparisons. For each review, we identify two or more robot vacuums that consumers frequently look for comparisons around. Then, we take those robots and put them through a comprehensive side-by-side review, showcasing where they are similar and different. At the end, we try to help summarize all of the information so you can make a more informed decision. Why so many Roomba comparisons? Because the iRobot Roomba tends to be among the most popular robot vacuum with consumers, we see far more interest from readers around Roomba related comparisons, which is why you’ll see so many Roomba robot vacuum comparisons on Modern Castle. That said, if there is a robot comparison you’d like to see that is not listed below, please let us know here. Our process for completing robot vacuum reviews is centered around 5 major scoring pillars. We chose each of these 5 scoring factors because we believe they best capture the essence of what makes a robot vacuum good or bad. We intentionally wanted to keep the total number of scoring factors to a relatively small number, as we believe this helps make it easier to navigate our reviews at large and not become overwhelmed by unnecessary details. Reviews are inherently subjective. At the end of the day, our reviews are our opinions. That said, we use as much objective hard data, facts, specs, and performance testing to help us ensure that our subjective opinions are informed and based on more than mere conjecture. Below we’ll list each scoring factor and what specific attributes and details we look for within each factor. The design scoring factor is more than just how it looks. What features does the robot include? How advanced are the hardware specs? What types of cameras and sensors? How efficient and smart is the technology for navigation, dirt detection, and cleaning? Does it have smart home integration? Smartphone integration? Does the design help or hinder longevity, maintenance, usability, performance, etc.? Bottom line, we are looking for the robot vacuums that have been smartly designed to avoid common issues. The vacuums that score the best in design not only avoid issues but prevent them and go beyond to make the user’s experience even more enjoyable and easy. Like all of our scoring factors, they will vary a bit from product to product. However, in the case of most robot vacuums, we are primarily focused on the cleaning performance. Below are some of the specific questions and focus areas we look for within the performance score. How well does the robot vacuum clean debris from various types of floor surfaces? How well does the robot navigate around the home and other complex layouts? Does the vacuum have features or hardware that take it to another performance level? Are there any problems that would prohibit the robot vacuum from cleaning well (ex. size, software, brushes, etc.)? Is there any special software that helps the robot complete more complex cleaning patterns or cleaning modes? We test more than just robots on Modern Castle. If it’s a vacuum, we probably test it! All vacuum tests we complete go through a total of 12 unique tests. We test 4 different debris types on 3 different floor types. Our tests aim to show what percentage of the debris field the robot vacuum is able to remove from the respective floor types. We combine this data, alongside our assessment of the robot vacuum’s other performance criteria, to come up with a bottom line score. You can tell a lot about a robot vacuum by touching it in-person. For all of our robot vacuum reviews (and most of our reviews in general), we try to get the product and personally test ourselves. This is the best way to really understand the quality of the materials, parts, accessories, and construction of the robot. Does the robot seem well constructed / assembled? Do the individual parts seem like they are well made and built from good materials? Are there any concerns about parts breaking down over time (especially moving parts)? Are the parts cheap plastic? Higher grade plastics? Aluminum? Other metals? Is the battery proprietary? Does it provide for a long run-time? Will it last? Are there reports (or have we ourselves experienced) of problems with the unit breaking down? Or specific parts breaking or requiring more frequent replacement? Ultimately, we are trying to get a feel for what type of quality parts the machine is made from, and specifically how those parts are going to impact long-term performance and longevity of the robot vacuum. Usability is exactly what you probably think it is already, how easy / hard is it to use the robot? How easy was it to complete the initial setup? How easy is the day-to-day operation of the robot vacuum? Can the robot be programmed to run at specific days / times? Does it integrate with smart home and/or have smartphone / app control? Are the buttons or other control mechanisms easy and intuitive to understand? Any special features that make it even easier to use and/or more autonomous (ex. larger dust bin, dynamic mapping, recharge and resume, virtual barriers, etc.)? The best scoring robot vacuums for usability will be the ones that are the most simple to use. They should be easy to set up, intuitive to operate, and as autonomous as possible (for as long as possible). Modern Castle believes that value is the average of all scoring attributes divided by the price. As a result, both cheap, mid-range, and expensive robot vacuum cleaners can be a good value (but they can also be poor values). Value considers design, performance, quality, and usability. The summation of all of these factors provides an average which is then compared to the overall cost. Based on the intended design of the robot and its price, is it failing to meet, meeting, or exceeding performance expectations? Based on the price, are the various design and quality attributes at a level a typical user would expect? Based on the price, is the robot easy to use? Are there other robots that are better that cost the same or less? Do we feel like we received a product worth the money? Or would we prefer to buy something else? That being said, the exact value of the robot vacuum may depend on the personal preference of the user. One of the most valued qualities about robot vacuum cleaners is convenience. People who own or are shopping for robot vacuums likely do not have the time, patience, or ability to vacuum their home as frequently as they would like. A robot that cleans their floor for them and drives itself back to the charger may be worth its weight in gold to the right user. What are the best robot vacuum brands? When many people think “robot vacuums” they generally think of the iRobot Roomba. Roomba was the first to really make a big hit for automatic vacuum cleaners. However, today there are a litany of good robot vacuum options on the market. Below we’ve listed the most popular robot vacuum cleaner models from the most prominent manufacturers. 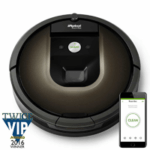 iRobot manufactures a variety of different robots, including those that vacuum, mop (see our Braava 380 and Braava Jet 240 reviews for more), clean pools, gutters, and more. The iRobot Roomba is their vacuum cleaner line. Over the years iRobot has had a large variety of models and improvements to their Roomba vacuum series. Today, the Roomba model series is comprised of just 5 models. ROOMBA 614 | The Roomba 614 is the most basic model, but still covers most of what you’d want in a robot vacuum. It has self-charging capability and basic dirt detection. While it lacks the ability to schedule cleanings, for a budget price, the Roomba 614 could still be a nice option for small or simple spaces, like a studio apartment or small office. ROOMBA 690 | The Roomba 690 is a slightly more advanced model over the 614. Has everything the Roomba 614 has, but also includes scheduling and WiFi connection. Read review. ROOMBA 890 | The Roomba 890 is a considerable step up over the 600 series. The Roomba 890 does everything the 600 series does, but also includes a better filter and debris rollers that are less likely to get tangled. Read review. ROOMBA 960 | The Roomba 960 is a significant step up, both in terms of price and features. It does everything that the 800 series does, but has a longer run time, can recharge and restart itself, and is better equipped to clean multiple rooms. Read review. ROOMBA 980 | Lastly, the Roomba 980 is the most advanced model. It includes all of the prior series features but has a more powerful cleaning system that can clean carpets more deeply. Read review. Samsung sells a variety of robot vacuum cleaners under the POWERbot name. Prices range from the low end to the high end. The Samsung POWERbot line of vacuums is fairly complex, with the differences not being as clear as I would prefer. However, in my opinion, the Samsung robot vacuums break down into a good, better, best type of a classification. GOOD | Samsung’s least expensive POWERbot robot vacuums include the POWERbot R9000, R7040, R7010, andEssential Robot. All of these have many similarities to each other. These are all the lowest priced models. BETTER | Next, we have the “better” tier. The models here are the POWERbot R7070, R7065, and WiFi Robot. This tier has many of the same features as the “good” tier, but generally with better suction power. You also see WiFi connectivity on all of these. These robot vacuums are Samsung’s mid-tier models. BEST | Last we have the “best” tier, these as the most expensive, landing in that $$$ price range. The models within this tier include the POWERbot SR20H9051, Turbo Robot R9350, R9250, and R7090. The biggest differences in this tier are the improved suction, sensors, mapping, and control mechanisms. POWEBOT R7040 | The Samsung POWERBot R7040 is one of the highest rated Samsung robot vacuums on the market currently. It offers wifi-connectivity, connection to Alexa for easy voice-control, digital mapping, onboard settings, and even a remote control for additional options. POWEBOT R7070 | The Samsung POWERBot R7070 Pet robot vacuum has a similar look as the R7040 listed above. It also has wifi-connectivity, connection to Alexa, digital mapping, and a remote control for easier use. In addition to the features of the R7040, the R7070 has twice the suction power (as stated by the manufacturer) and comes with a self-cleaning brushroll that helps it to address tangles from pet hair earlier, before the clog up the system. POWEBOT R7090 | The Samsung POWERBot R7090 robot vacuum has the same suction power as the POWERBot R7070 and most of the same features (wifi-enabled, Alexa voice control, digital mapping, etc). The one distinguishing difference here is that the R7090 has a copper looking body and one new feature—Point Cleaning. Point Cleaning allows you to use the remote control to point to a mess that you want addressed and the POWERBot 7090 will drive there and clean it. 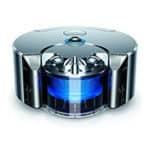 POWEBOT R9250 | The Samsung POWERbot R9250 robot vacuum is the first of a new series of POWERbots. The R9250 offers more suction than the R7090 and all preceding models as well as a larger dust bin. It does not, however, offer the self-cleaning brushroll like the POWERbot R7090 or R7070 models. POWEBOT R9350 | The Samsung POWERbot R9350 is one of the newest POWERbot that Samsung has released, to date. Like similar models, it offers digital mapping, wifi-capability, pairing with Alexa, and Point Cleaning. It also offers even more suction than previous models. New to the R9350 is the Select and Go App. This app allows you to remotely select the rooms you want to clean and allows you to skip the others. This feature can be utilized once your POWERbot has done a few initial runs of the hose and has built the digital map of your home. Dyson has decided to take a more simplistic approach. They only sell a single robot vacuum, the Dyson 360 Eye. DYSON 360 EYE | The Dyson 360 Eye is an ultra high-end robot vacuum priced in the highest category. As such, it has all of the typical features you’d expect for that price. As the 360 name suggests, the Dyson 360 has sensors that constantly observes the environment, helping it to navigate and avoid obstacles. For cleaning, the 360 Eye uses a full-width brush, tank tracks, digital motor, fine dust / dirt capture, and has a 75 minute runtime. The Neato Botvacs are available at a variety of price points, ranging from the mid to high price range, offering varying levels of performance and features. BOTVAC D3 | Neato’s least expensive model, the Botvac D3 cleans spaces up to 1,800 square feet, uses laser navigation, self-charges, and connects to WiFi for smartphone control. The Neato Botvac D3 is one of the least expensive WiFi enabled robot vacuum cleaners available. Read Review. BOTVAC D3 CONNECTED | The Botvac D3 Connected is basically the same as the original D3, except it is able to connect to your wifi network so you can control it via your smartphone. BOTVAC D80 / D85 | This is a step up in both price and performance vs. the Botvac D3. The D80 / D85 has many of the same features, but includes a higher performance filter and cleans spaces up to 3,000 square feet. The biggest detractor to this model is it is not WiFi enabled so you cannot control it via your smartphone. BOTVAC D5 CONNECTED | Priced in the $$ tier, the D5 is a more advanced version of the budget-friendly D3. Compared to the D3, the D5 cleans over twice the square footage (up to 4500 sf) and comes with boundary markers and spot clean technology. This is also a “Connected” model, meaning it can connect to your wifi and be controlled via a smartphone. BOTVAC CONNECTED | The Botvac connected is priced in the higher end. It can clean up to 5,000 square feet and is substantially similar to the Botvac D5 in terms of features. The major difference is that it includes a spiral blade brush, which allows for deeper cleaning. It can also be controlled via your smartphone. BOTVAC D7 CONNECTED | As their most expensive model, the D7 is Neato’s most advanced robot vacuum to date. It offers many of the same features of the lesser models, but also includes ‘no show’ lines and a cleaning summary report available on the Neato app once the vacuum has finished. Read Review. Eufy manufactures a handful of robot vacuums, but they are all the within the same series, the Eufy RoboVac 11. The various sub-models and their specific differences are indicated below. ROBOVAC 11 | The most popular Eufy robot vacuum is the Robo 11 and the RoboVac 11+ (Power Boost). The RoboVac 11 uses a three-point cleaning system (rolling brush, side brushes, and suction) for an advanced clean. This vacuum is recommended for hardwood and low pile carpets. Read Review. ROBOVAC 11+ | The RoboVac 11+ seems to have all of the same features as the regular RoboVac, except it also includes a slightly longer run time of 100 minutes. ROBOVAC 11c | With most of the same features as the 11, the 11c also has smart wifi connectivity and the ability to schedule the cleans. The Robovac 11c has a 90 minute run time and remote control. ROBOVAC 11S | With the RoboVac 11S, the “S” stands for Slim. This is the slimmest version of the Eufy at 2.85″. Has a suction of 1300 PA (on max), a 100 minute run time, and remote control. ROBOVAC 11c PET EDITION | The RoboVac 11c Pet Edition is only available at Walmart. Aside from a slightly different aesthetic, it seems to be substantially similar to the RoboVac 11. Has 1200 PA of suction (on max mode) and 100 minute runtime. BObsweep offers several different robot vacuum options. Their robots are organized into two different series, the bObsweep and bObi. As a class, bObsweep robot vacuums include an XL dust bin and many design features that are great for homes with pets. The bObi lineup has smaller dust bin capacity, but makes it up with 15 minutes of longer run time (up to 75 minutes). BOBSWEEP PET HAIR PLUS | The bObsweep Pet Hair Plus robot vacuum can simultaneously sweep, vacuum, mop, UV sterilize, and HEPA filter the floor. It features an XL 1.0 L dust bin, significantly larger than the industry standard which tends to be around 0.3 L. It has up to a 60 minute run time, offers scheduled cleanings, and includes a remote control. Read Review. BOBSWEET PETHAIR | The bObsweep Pet Hair robot vacuum has the same run time as the Pet Hair Plus and most of the same features. The difference here is the remote control, as the standard Pet Hair only comes with the Standard Remote II, while the Pet Hair Plus includes the Advanced Remote. BOBSWEEP STANDARD | The bObsweep Standard robot vacuum has up to a 60-minute run time, the XL dust bin, lithium-ion battery. It has a large LED screen on the top of the vacuum which shows a number of different features and allows for scheduled cleanings up to 7-days on a programmed schedule. When a cleaning cycle is done, the bObsweep Standard will automatically return to the charger to juice up. BOBSWEEP JUNIOR | Just as it sounds, the bObsweep Junior is just a smaller, lighter, and less expensive version of the bObsweep Standard. It doesn’t have the UV sterilization like some of the newer, more advanced models, and it doesn’t allow for self-changing or spot cleaning, but is it self-charging and still has the large capacity dust bin. BOBI CLASSIC | The bObi Classic is the first generation of the bObi line. Apart from bObsweep, the bObi Classic has a longer run time (an extra 15 minutes) and most of the same features of the bObsweep line. It also has a washable dustbin which helps to reduce maintenance costs and time. The bObi Classic also has a more advanced LED remote control for scheduling cleanings or accessing settings. It runs on a Nickel-Metal Hydride battery versus the Lithium-Ion battery. With these advanced features, the one major thing that bObi gives up is the XL dust bin as the bObi robot can only hold 0.3L of dirt, dust, and debris. Bissell offers a mid-range robot vacuum cleaner, called the SmartClean. 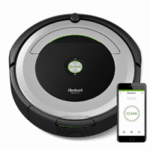 It comes in three different models, offering scheduled cleanings, dirt detection, a lithium-ion battery, self-charging dock station and the ability to automatically adjust to varying flooring types and heights. BISSELL 1974 SMARTCLEAN | The Bissell 1974 SmartClean robot vacuum is a low-profile robot vacuum with a charging base, lithium-ion battery with 80 minutes of run time, the ability to automatically adjust to variable floor heights, and scheduled cleanings. While it doesn’t have wifi-connectivity, its price tag easily places it in the $ pricing tier, making it one of the least expensive robot vacuums on the market. BISSELL 1605 SMARTCLEAN | The Bissell 1605 SmartClean robot vacuum is the predecessor of the 1974 robot vacuum. It is no longer available from Bissell’s website, but can still be found at a few third-party retailers. The 1605 model lacks the wifi-connectivity of the 1974 SmartClean, but it does have a similar cleaning system, using a central brushroll and side spinning brushes. Considering availability and the potential need for replacement parts, I would recommend the 1974 SmartClean over the older 1605 model. EcoVacs has a vast and wide collection of robot vacuums, but one name is consistent- DEEBOT. All of these robot vacuums have slight variations, but they are generally an expansion to or newer version of previous DEEBOTs. A few of the most popular EcoVacs DEEBOTs includes the N79, N79S, R95N79S, the 900/901, N78, or Ozmo 601. DEEBOT N79 | The N79 is one of the most affordable Wi-Fi enabled robot vacuums with the ability to also schedule cleanings. The N79 offers 3 different cleaning path styles for different environments, app control when paired with your smartphone, and a 100-minute run time. Read Review. DEEBOT N79S | The EcoVacs DEEBOT N79S has all of the same features of the N79 but two additional features as well. The N79S includes a “Max Mode” for increased suction power as well as Alexa compatibility for voice control and additional settings and features. DEEBOT N78 | The DEEBOT N78 is priced below the N79 series (usually) and although it doesn’t offer Wi-Fi, this robot vacuum is self-charging, has 3 different cleaning path styles and 110-minute run-time. DEEBOT 900/901 | The Ecovacs DEEBOT 900/901 is a robot vacuum for all floor types, with the classic EcoVacs 3-stage cleaning system. It has wifi-enabled app control when paired with your smartphone. It also boasts a logical back-and-forth navigation path, not the randomized zig-zag pattern that many robot vacuums are accustomed to. DEEBOT OZMO 930 | The DEEBOT OZMO 930 is a robot vacuum with wifi-connectivity, optional pairing with the Ecovacs app, the ability to draw virtual boundaries and 110 minutes of runtime. Unlike traditional robot vacuums, the OZMO 930 operates as a robot vacuum or as a mopping robot. With the mopping pad on, the robot will turn away from carpeted areas and focus on hard floor cleaning.OTHER DEEBOTS | The following models are additional EcoVacs that are manufactured and sold, but don’t necessarily represent the “best of the best” from the DEEBOT lineup or are simply less popular. Additionally, some of these can be more difficult to find for purchase. DEEBOT R95 | The DEEBOT R95 was once considered one of EcoVac’s flagship models and represents the partnership between Amazon’s Alexa and EcoVacs. The R95 can be controlled with Amazon Alexa and offers a vacuum and mop combo for variable cleaning options. DEEBOT R98 | The DEEBOT R98 is high-end and boasts an all-day cleaning machine, able to clean, return to the base, empty its dust bin, and clean again. Additionally, the R98 includes a handheld unit for any tight space the robot might miss. DEEBOT M88 | The DEEBOT M88 is a multi-surface robot vacuum that sweeps, lifts, vacuums, and includes an optional wet and dry mop. This vacuum is also Wi-Fi compatible and offers scheduled cleaning. DEEBOT M81 Pro | The DEEBOT M81 offers Wi-Fi compatibility, 5-stage cleaning that sweeps, lifts, vacuums, mops, and dries in a single pass. This vacuum offers a 100-minute runtime. DEEBOT Mini 2 | successor of DEEBOT Mini – The DEEBOT Mini 2 is a small, low-profile robot vacuum. It offers many of the same features as the other models, like scheduling, auto-recharge and remote control use. DEEBOT Slim 2 | successor of DEEBOT Slim – The DEEBOT Slim, is one of the slimmest robot vacuums on the market right now, standing at only 2.2 inches tall. This makes it even easier to slide under furniture or hard to reach places. In addition to being slim, this robot vac also has scheduling capabilities, remote control, and smart anti-collision sensors. DEEBOT M80 Pro | The M80 Pro is one of the most affordable robot vacuums that can be controlled by connection via Amazon Alexa. This vacuum can also be used as vacuum or mop and can be scheduled for cleaning cycles. DEEBOT M82 | The DEEBOT M82 offers up to 150 minutes of cleaning time and a larger dust bin for longer cleaning runs before having to return to the charger. The M82 utilizes Obstacle Detection and Stair Safety technology. DEEBOT M81 | The DEEBOT M81 is a combination vacuum and mop offers scheduling and remote control. Additionally, the M81 offers 4 different cleaning path styles for the robot vacuum to follow to help it adapt to certain environments. DEEBOT 63S | The DEEBOT 63S offers many of the same functions as the robot vacuum models above. The 63S offers the same 4 cleaning modes as the M81 and utilizes dust detection technology to automatically adjust to areas that need a bit more attention. It’s a simple enough question, how do robot vacuum cleaners work? At its core, a robot vacuum is an automatic vacuum cleaner programmed by the manufacturer to systematically (and autonomously) clean your home. The method of cleaning is determined by the software. Many robot vacuum cleaners fall into category #1. These types of robot vacuums are more simple in their programmed software. They are designed to simply drive around and clean all spaces that are driven over. When it comes into contact with an object it stops, changes directions, and continues cleaning until it comes into contact with another object. These types of vacuums are simpler, but that doesn’t necessarily mean they are worse. It’s simply a different type of automatic vacuuming. Category #2 is substantially similar to category #1, with one exception. Each time the robot vacuum comes into contact with an object it makes a note within its memory. More simple robot vacuum cleaners simply note that location of an object for that session and will avoid hitting it again. More complex software systems will create a map of your floor plan and store this in their memory until reset (or they learn something new). These more complex sensing and mapping systems allow the robot to prevent striking objects in your home since they know exactly where most furniture, walls, appliances, and other large objects are. Lastly, we have sensor mapping robot vacuums. These are the most advanced robot vacuum cleaners and they are designed to dynamical sense and understand the area within bumping into objects. More advanced sensors can allow robots to create more defined vacuum lines. These are also the most expensive robot vacuums. Scheduling: Ever wish you could schedule a house cleaner to come to your house every day just to vacuum? With many robot vacuums, this is a reality with their intuitive scheduling software. Select a day, select a time, and the robot will do the rest. Many models even can return themselves back to the charging station so they’re ready to go for next time. Compact: Generally, robot vacuums are significantly smaller than traditional upright vacuums and sometimes even smaller than canister or handheld units. This can make a great option for people with smaller homes/offices or areas with limited storage. Hands-free: Many robot vacuums have a small ‘clean’ button somewhere on the unit which allows the vacuum to automatically begin its cleaning cycle from anywhere in your home. Cleaning Frequency: Homes with pets or those who suffer from allergies may benefit from vacuuming more often than average. Robot vacuums can help ease the burden of more frequent vacuuming and keep dirt, dust, and dander at a minimum in your home. Wi-Fi Compatible: While not every robot vacuum falls into this category, wifi is a big deal for robot vacuums because it’s essentially the only type of vacuum where it’s even an option. With a wifi enabled robot vacuum. you can schedule a cleaning remotely (via a mobile app), stop a cleaning cycle, or even check out a summary of an entire cycle once it has returned back to the dock. Can Be Expensive: Robot vacuums typically range from cheap to extremely expensive (with a few exceptions on the lower end), depending on quality, model, and features. Depending on your budget, this may simply be out of reach. For comparison, a typical upright vacuum tends to remain in the low to mid tier pricing, and rarely goes above that. Can Get Lost: If the technology isn’t top notch or if your house has quite a few ‘obstacles’, navigation may be a problem for a robot vacuum. Getting stuck in cords, under tables, locking itself in rooms; these can all be normal behaviors of a robot vacuum. Some higher end robot vacuums use sensor mapping as a way of learning the distinct navigation patterns of your home. It may take a little bit of time, but eventually, the robot vacuum should get better at moving about the cabin. Should I Buy A Robot Vacuum? Robot vacuums have really come a long way in the past 10 years. What started as an expensive dream and tech-lover’s machine is now a reasonable and affordable solution to a cleaner home. The market of robot vacuums is continuing to grow as manufacturers and makers to develop new ways to build a better (and smarter) robot vacuum. Still not sure what robot vacuum is best for you? That’s okay! We’re here to help. Please send us an email here, using our contact form. We’d be happy to help however we can. September 20, 2018 – Added Roomba e5. Updated tables and references accordingly. September 18, 2018 – Added Roomba i7+. Updated tables and references accordingly. September 12, 2018 – Added Tenergy Otis. Updated tables and references accordingly. August 28, 2018 – Added Roomba 675. Made a few minor content and formatting updates. August 10, 2018 – Page was updated with a major overhaul of additional information, formatting improvements, scoring updates, and more. October 30, 2017 – Initial version of the page went live.